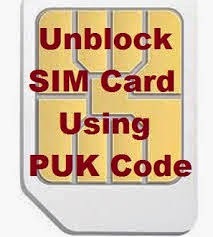 This article will help you to get the PUK code for your Batelco locked SIM card and reset your PIN number to make your mobile phone work again. Luckily, Batelco is allowing the users to view the PUK code through online.If you want to generate PUK for Batelco , follow any one below method. Remember that PUK code cannot be generated by any downloaded software. So avoid downloading any software for this issue. Note it down and enter it in your mobile phone to unlock the SIM card and activate it. Some other basic details like CPR / CR number will be asked to Confirm that you are the owner. If you manage to convince the customer care person, then they will provide the PUK code. Every corporate organization is moving towards simplifying the process using technology. In future , Batelco is one of the few networks that provide online option to retrieve PUK code.